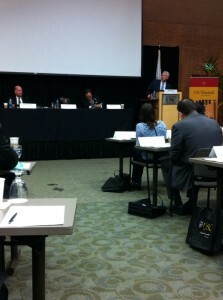 Our NACD Southern California Corporate Governance Week is a series of events both public and private. Our focus is on creating opportunities for the governance community to identify ideas and process to enhance their service to investors and stakeholders. Here are my tweets and pictures from the week. 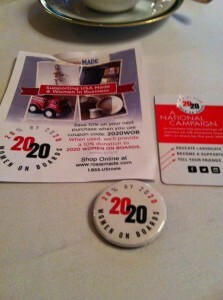 The week started with the Women on Boards 2020 Los Angeles lunch event. CEO-Fit to culture (does the board understand the current state? ), skills and behavior characteristics (HR can help.) 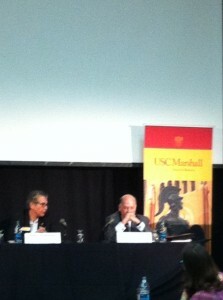 #USCSummitFinding good directors is hard, getting rid of bad directors is even harder. Choose wisely. 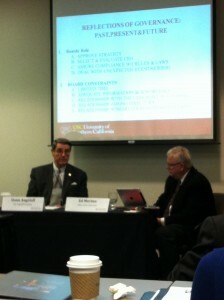 #USCSummitCombined CEO / Board Chair potential tensions around compensation & strategy. Board executive session essential. 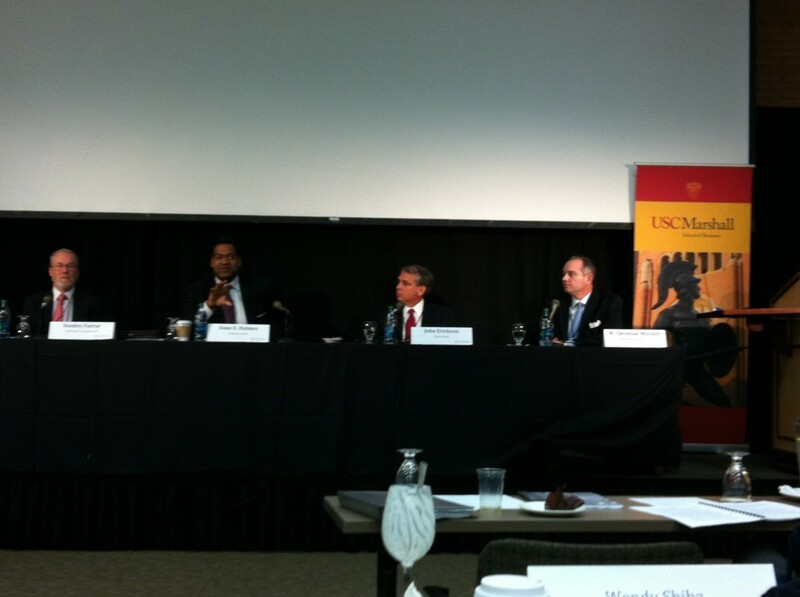 #USCSummitIMO what helps are board chairs leading performance cultures. 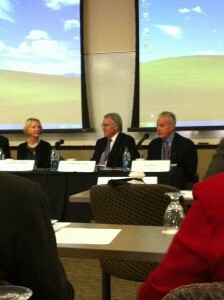 #corpgov MT @CtWInvGrp: @fayfeeney Totally agree;do board term limits help? What gives ISS shareholder’s confidence? 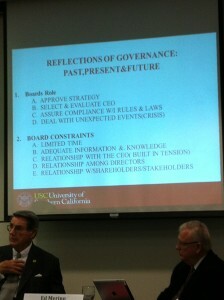 The board’s ability to put #risk unknowns on the agenda. Time on the agenda to think together. 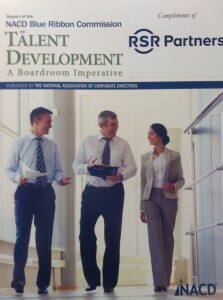 Essential reading on Talent Development #corpgov MT @RSRPartners @NACD Our many thanks, Fay! How can your board defend not having women on their board? No good answers for investors (or me!) 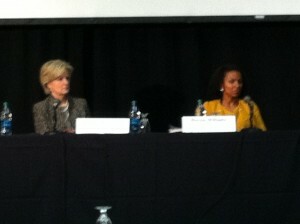 #corpgovWomen on boards is a shareholder value issue. Now how to make it happen? Characteristics built into process earlier. Cognitive & identity. 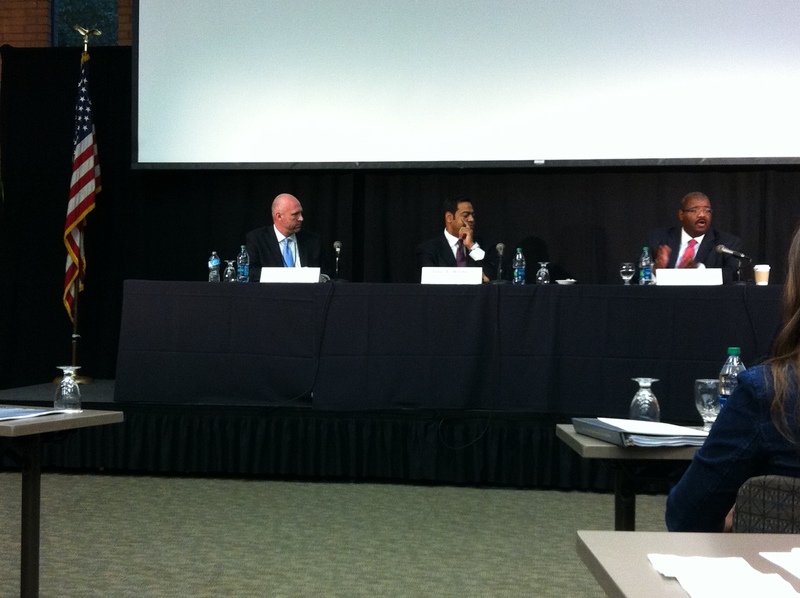 #corpgov questions to banks for 2014 – are we in your core business? Are you able to make money on our account? 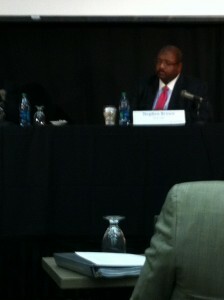 Ask now before you’re told.Listening to Stanley Farrar @sullcrom talk about #risk appetite for Financial services. 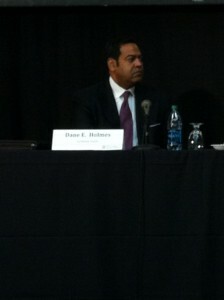 Supply chain expectations headed your way. Nice to see you too Fay! 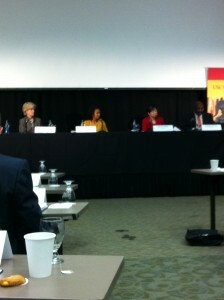 RT @fayfeeney: How great to see @colleencunningh sitting to the right of me at #USCSummit welcome to LA Colleen! Treating your investors the way you treat clients – what a concept. 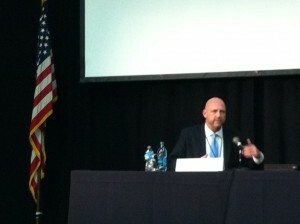 #corpgov engagement is used to clarify & improve understanding. #risk lives in accepting today’s abnormal world as normalized. The capital markets requires activism. Get involved. Curious if #corpgov has tested the boundaries on info flows for reasonable inquiry to include social media relevant conversations? We’ll look forward to next year !